If you are a craft beverage enthusiast, clear the calendar for the weekend of May 3 – 5, 2019. The Barrel Tasting Weekend event is coming back to the lakes and mountains region of New Hampshire. This is a special opportunity to tour production facilities, sample over 60 craft wines, beers and spirits and the chance to win over $5,000 in prizes, including a possible future stay at the Center Harbor Inn! Barrel Tasting Weekend originated in 2011 and was held annually through 2015. The organization has modified the event to now include breweries and distilleries in addition to local wineries and has scheduled the weekend to take place in the spring season rather than autumn. This year there are ten participating businesses, most of which are within a 45-minute drive from the Center Harbor Inn. Guests visiting the properties will have the unique experience to try creations straight from the oak barrels that are used to ferment and age the products, meet the producers, and also learn in detail about the process of how their beverages are made. Many of the businesses will include other vendors whom will be offering items ranging from clothing, food and other wine and beer related merchandise for sale. Hermit Woods Winery & Deli, located in our neighboring town of Meredith, is one of the companies participating in the Barrel Tasting Weekend. Just a ten-minute drive away, you can start your adventure here and meet the original organizer of the event, Bob Manley and his team. There will be a large tent located right outside of the winery where visitors will sign in and get their passports stamped. 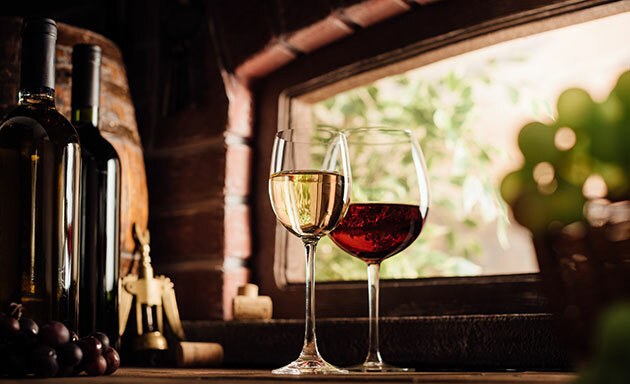 From there, you will be given the opportunity to tour the facility where you will learn about the filtration and aging process and engage in delicious a wine tasting. The Center Harbor Inn is located centrally to many of the participating businesses and is offering a fantastic promotion on rooms during the event. Our Barrel Tasting Weekend Getaway Package includes 10% off accommodations of two or more nights and two tickets to the event. For more information on the package check it out here. After spending the day touring multiple wineries, bring back some wine of your own to savor while you relax and watch the sunset over the lake on your private balcony. On October 25th, the Meredith Area Chamber of Commerce hosted their annual meeting which included an awards ceremony where local businesses were honored for making a positive impact in the community. 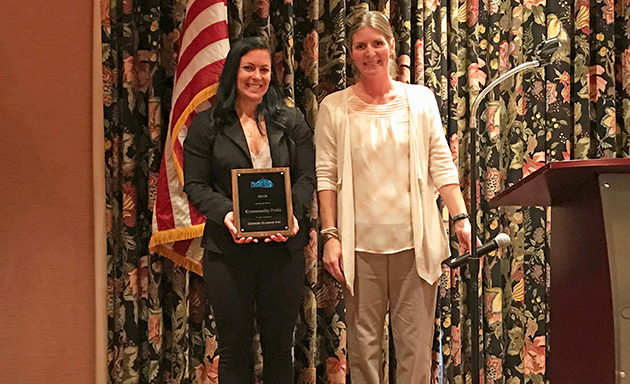 With our recent renovations of the inn just behind us, we are very grateful to have been presented the 2018 Community Pride Award for the rehabilitation and reopening of the Center Harbor Inn. In March of 2016 Path Resorts purchased the Center Harbor Inn and immediately kicked off extensive renovations. 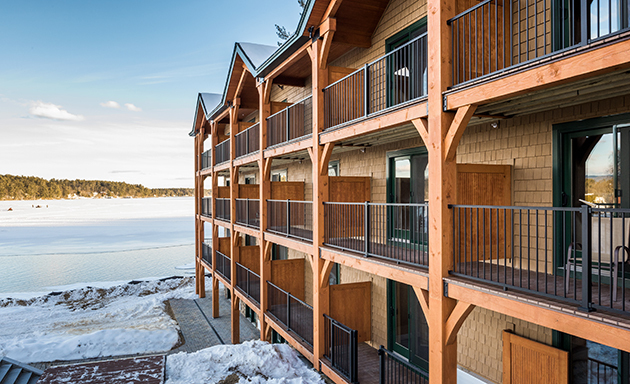 The building was completely restructured with new exterior decks, douglas fir clad beam work and decorative cupolas to highlight the new Adirondack style. Interior work included complete modernization of the bathrooms and design updates incorporating rustic tones. Hotel amenities were improved with the addition of a four-season outdoor hot tub including heated walkways, as well as complete refurbishment of the nearly 200 feet of sandy beachfront. After all the updates the only thing that remained the same was the name of the property. Less than a year later, in January of 2017, the extensive renovations were completed and a ribbon cutting ceremony was held to mark the grand opening. We are honored to accept such a significant award and would like to thank the Meredith Area Chamber of Commerce for presenting it to us. It is wonderful to hear that the community is just as proud of the hard work that went into our widespread renovations as we are. We are committed to providing an upscale hospitality experience that does justice to the beautiful lakeside town of Center Harbor. At the Center Harbor Inn one of our lakeside favorites on a cool summer or fall night is a classic campfire. What’s better than sitting around a cozy fire unplugged from the world surrounded by family and friends? We can think of something… adding in a good old-fashioned s’more! We have taken the traditional s’more and upgraded it with a few twists of our own. Watch our video or check out the recipes below for our special concoctions. If you’re looking for ingredients, head across the street from the Inn to EM Heath’s Grocery Store for everything you might need. Just ask the front desk when you’re ready to start a fire and they will be more than happy to help! The Classic: A straight up classic, if you have no idea what a s’more is, let us introduce you! Peanut Butter Lovers: Who doesn’t love Peanut Butter? For those who can’t get enough, try this one! Chocolate Covered Pretzel: For extra crunch try out this twist on the classic. As much as we love sunny, beautiful beach days here at the Center Harbor Inn, we know that it’s not always possible and that sometimes you need to take a break from the Lake to go explore other attractions in the area. 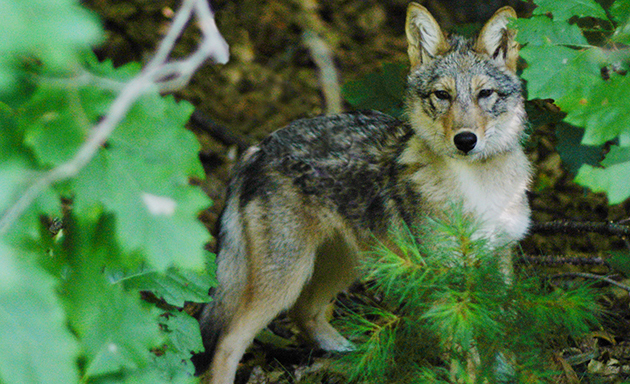 A favorite of ours for both the kids and adults is the Squam Lakes Natural Science Center. It is the center’s mission to inform guests about ecology by exploring New Hampshire’s natural state through live animal exhibits, educational programs, a public garden, and lake cruises. The live animal exhibits feature animals native to New Hampshire’s landscape and include: Barred owl, white-footed mouse, mink, painted turtle, spotted turtle, snapping turtle, various fish and amphibians, coyote, red fox, gray fox, fisher, bobcat, mountain lion, white-tailed deer, river otter, black bear, Black-crowned Night Heron, Cattle Egret, Great Horned Owl, Red-tailed Hawk, Broad-winged Hawk, Red-shouldered Hawk, Northern Goshawk, Bald Eagle, and Turkey Vulture. 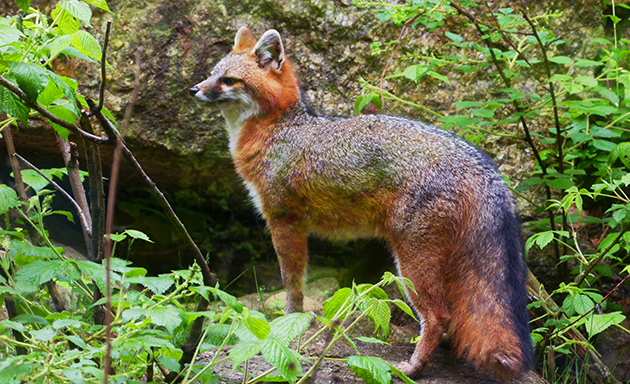 It’s not every day that you get to see these animals up close and personal, so take your time and enjoy reading the descriptions and participate in the little activities they have set up along the relaxing, wooded nature path that winds through the exhibits. If you’re interested in an extended walk, there are hiking trails around the property that range from 1/3 of a mile to a mile long. The Ecotone Trail, meaning edge, shows off the point where two habitats meet, in this case the lake and the forest. The Forest Trail provides insight into the past and present use of the land by humans and the Mt. 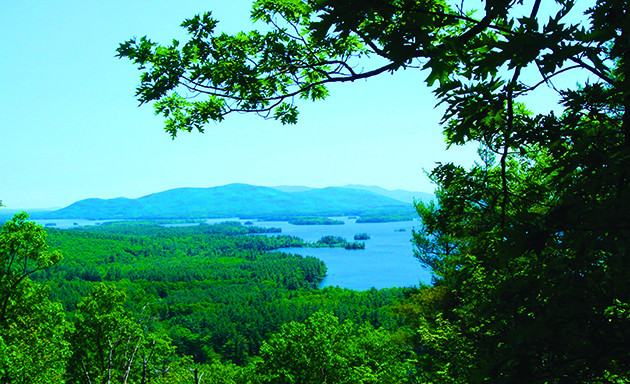 Fayal Trail offers an elevation of just over 1000 feet and boasts beautiful views overlooking Squam Lake. Guests are invited to use this map for self-guided, nature tours through the trail system. Trail hours are open May 1 – November 1 from 9:30am to 5pm with the last trail admission ending at 3:30pm. All guests of the Center Harbor Inn are eligible to receive $3 off trail admission coupons, just swing by the front desk and grab one. With easy access to the science center via NH25B and US-3N it is only a 15-minute drive from Center Harbor, so spend a morning or afternoon visiting the animals and head back to the Inn to enjoy the rest of your day on the waters of the beautiful Lake Winnipesaukee. 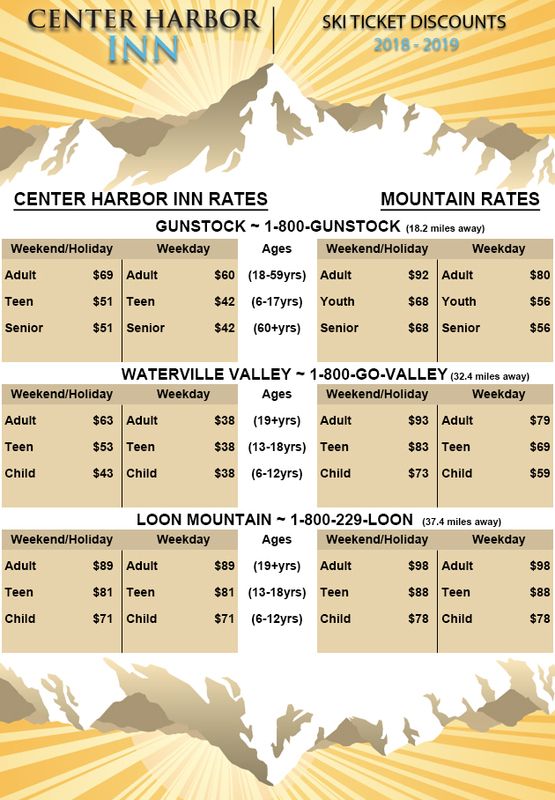 For more information on packages at the Center Harbor Inn visit our Packages Page. If you haven’t heard yet, Ice out was declared on Lake Winnipesaukee for the 2018 season on Thursday April 26 at 5:40 pm. Which means it is officially Spring in New Hampshire’s Lakes Region and Summer is just around the corner! The sounds of boats, laughter, and splashes in the water are soon to come. The Ice Out date is defined by the moment the ice melts enough so that the M/S Mount Washington cruise ship can navigate between Alton Bay, Center Harbor, Weirs Beach, Meredith and Wolfeboro. Residents and tourists anxiously await Ice Out as they can regain access to the beautiful waters. The Ice Out date has been recorded for over 130 years and though it is not a scientific calculation it is determined by an observer in a small plane that flies over multiple times a day and once the pilot makes his final call that is considered the official day of Ice Out. Ice out has even been as late as May 12! At the Center Harbor Inn we are already preparing for what will be our second Summer season since we purchased the Inn and underwent renovations through the early Winter of 2017. The watercraft and beach lounge chairs will be put out in the next couple of weeks! 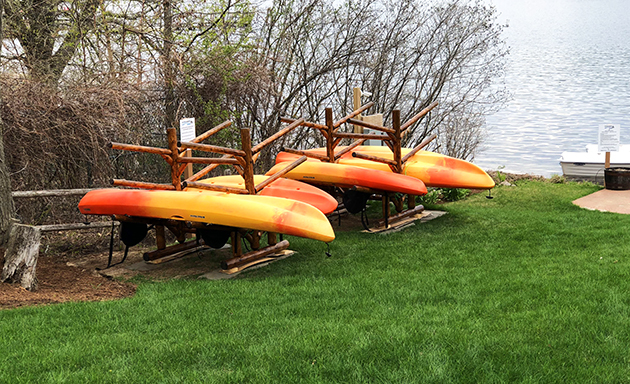 Though the water may still be freezing cold, on a nice sunny day we encourage our guests to go ahead and take one of our pedal boats to explore Lake Winnipesaukee by water. To see how much Lake Winnipesaukee has melted for yourself check out our Live Webcam overlooking the harbor. The bay is open and the birds are chirping. We are anticipating a busy summer season, so we highly recommend making reservations as far in advance as possible. 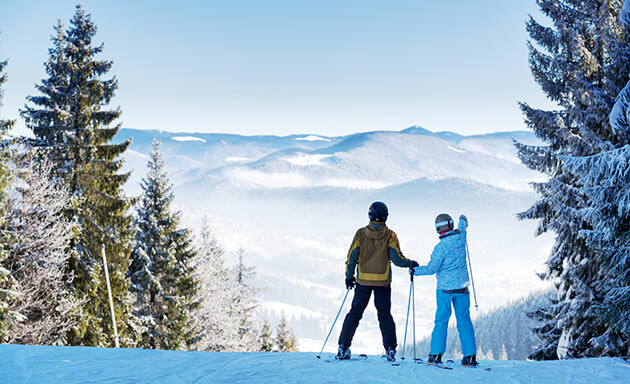 Take advantage of one of our packages and make the most out of your trip to New Hampshire’s Lakes Region. The Center Harbor Inn is the perfect setting for a romantic summer getaway or a family adventure right on the shores of Lake Winnipesaukee. Don’t forget we offer dock slips and moorings if you want to bring your own boat along with you! 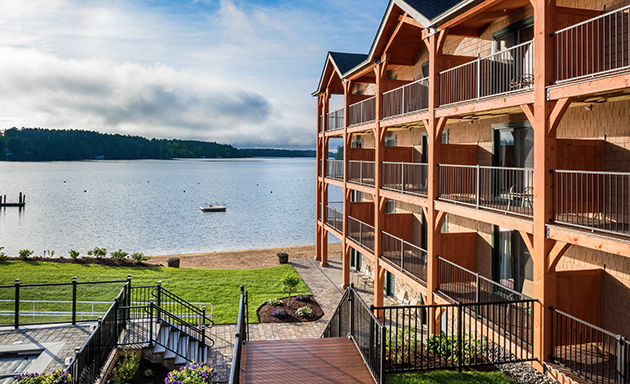 If you’re staying with us at the Center Harbor Inn, then you are in luck, because we are just down the road from some of the greatest restaurants in the New Hampshire Lakes Region. These restaurants in Meredith, NH offer something for everyone and every occasion. So, take your pick from the list below and let us know what your favorite is! 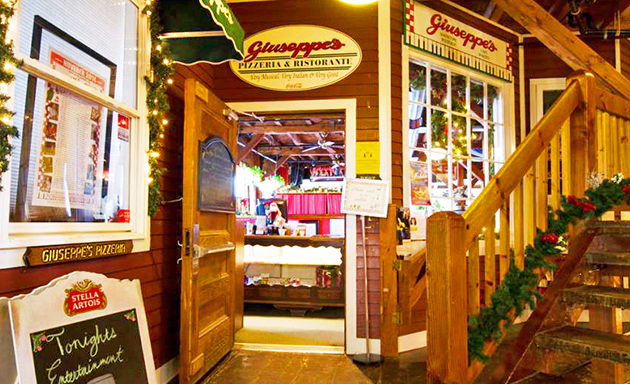 Giuseppe’s Pizzeria is a restaurant located in the heart of Meredith, NH directly across from Lake Winnipesaukee and offers a festive Italian atmosphere. Though they have some of the best pizza around, they also specialize in seafood, sandwiches, pasta, steak, and desserts! We love Giuseppe’s so much we have partnered with the restaurant to offer a Romantic Winnipesaukee Getaway package with the Center Harbor Inn. The package includes 10% off accommodations for each night of your stay and a $75 gift certificate to Giuseppe’s. Camp is a restaurant in Meredith, NH on Daniel Webster Highway Just across the road from Lake Winnipesaukee. Camp offers a unique, rustic experience that will bring back those memories of spending endless summers at camp on the lake. Signature dishes are meant to be shared including Camp crackers, family style salad starters, famous buttermilk fried chicken, and everyone’s favorite dessert which is the Camp’s very own take on s’mores. If you’re feeling a little summer camp nostalgia we highly recommend Camp. Lago specializes in rustic Italian-American cooking inspired by the travels of Marco Polo. With beautiful views overlooking Lake Winnipesaukee this restaurant in Meredith is located right on US Route 25. Guests have the option to dine in the dining room, on the patio, or in their lounge, all of which boasts views toward the lake. 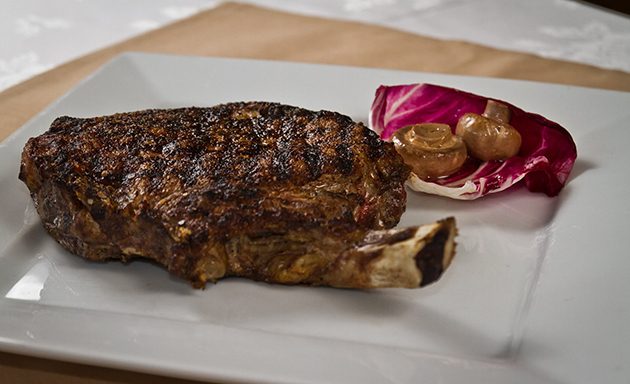 We recommend Lago for a date night out or a special occasion. Only the freshest ingredients and seafood are used to give you a rustic Italian meal that you won’t forget. Hart’s Turkey Farm located on Daniel Webster Highway in Meredith is a Lakes Region staple. Locally owned and operated this restaurant specializes in… you guessed it, turkey! Here It’s Thanksgiving year-round. But that’s not all they serve up, from pasta to seafood there is something good for the whole family. After dining, don’t forget to stop by their New Hampshire made gift store, you can even pick up one of their turkey pies to-go. Town Docks, a seasonal, outdoor, lakeside bar and restaurant, is THE place to be during the summer. This dining option offers free boat tie-ups and a Tiki Bar situated on a beautiful sandy beach area. 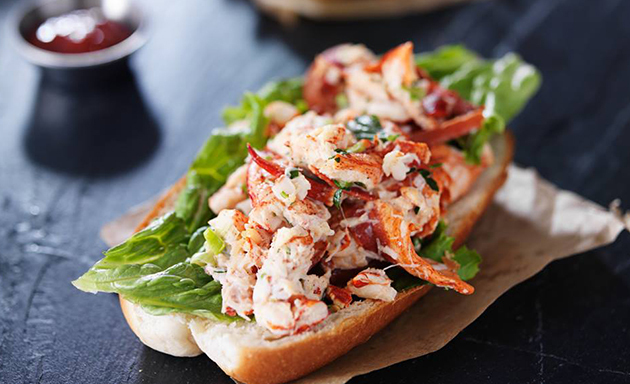 Get your classic summer favorites here such as a choose your own lobster dinner, fried seafood, and clam chowder. They also feature their very own homemade ice cream with dozens of different flavors. Their delicious specialty drinks are sure to cool you down on a hot summer day. Enjoy an afternoon of fun, food and more at this restaurant in Meredith, NH located on Daniel Webster Highway. 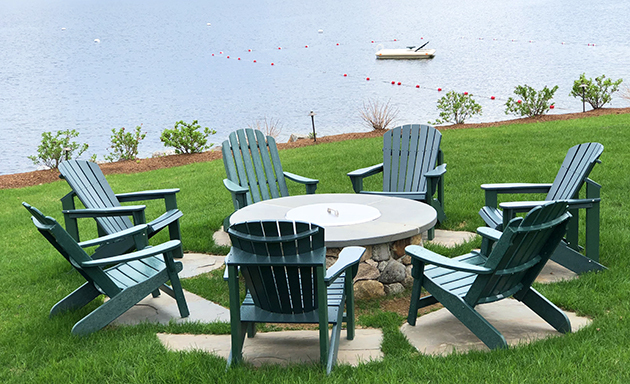 The Lakehouse Grille offers a unique dining experience with an Adirondack style setting and beautiful views overlooking Lake Winnipesaukee in Meredith, NH. 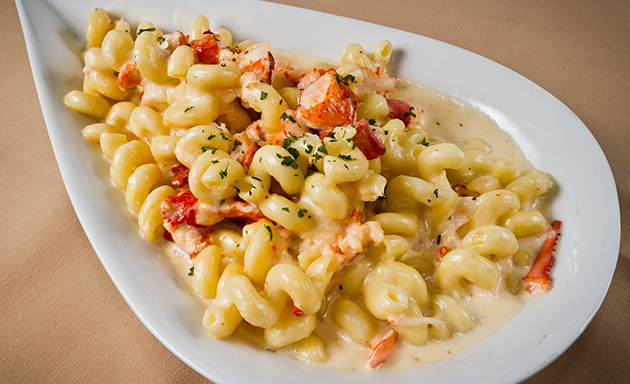 Specializing in classic New England Style cuisine, you can get your favorites such as Lobster Corn Chowder, fresh seafood, and delicious hand-cut steaks. During the New Hampshire growing season, they use fresh local produce as much as possible. It doesn’t just stop at dinner as you can enjoy breakfast, lunch, or dinner at the Lakehouse Grille. George’s Diner is a local mom and pop kind of diner where their motto is “Just Good Food.” With this alone, you know you’re in for a real treat. Serving Breakfast, Lunch, and Dinner they use fresh and simple ingredients that pack a lot of flavor. Don’t forget to try out one of their homemade desserts and be sure to try something new and check out their nightly specials which the staff come up with daily! 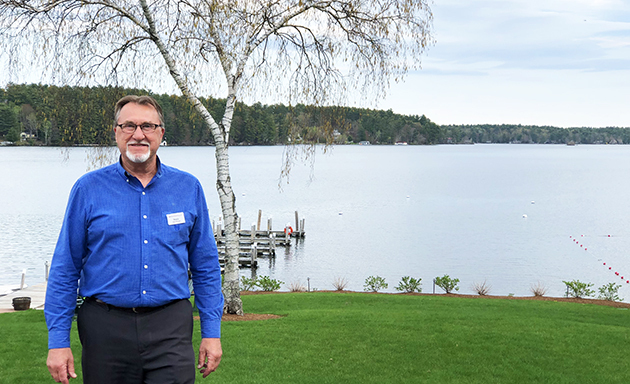 Each year the Lakes Region Chamber of Commerce holds its annual membership meeting where local businesses get recognized for their economic development, construction or improvements in New Hampshire’s Lakes Region. We are proud and honored to be nominated and presented with the 2017 Golden Trowel Award for the Center Harbor Inn. The Center Harbor Inn was purchased in March of 2016 and underwent extensive reconstruction and remodeling under new ownership. The renovation process involved stripping the building down to its studs and completely rethinking the structure. Key changes included the addition of Douglas fir clad beam work to frame out the new decking system, new accent gables to break up the roofline and two large decorative cupolas along the center of the main lodge roof (which became a key piece in the design of our logo). The interior work echoes the appearance of the exterior with an emphasis on both modern and rustic features. Inside, the main lodge bathrooms were completely gutted and fully tiled with a modern glass panel divider. All new plumbing fixtures were added, custom hickory vanities and floating shelves finished off these spaces. Guest rooms were fixed with all new carpeting, custom furniture and beautiful floor to ceiling hickory headboards with floating nightstand shelves. 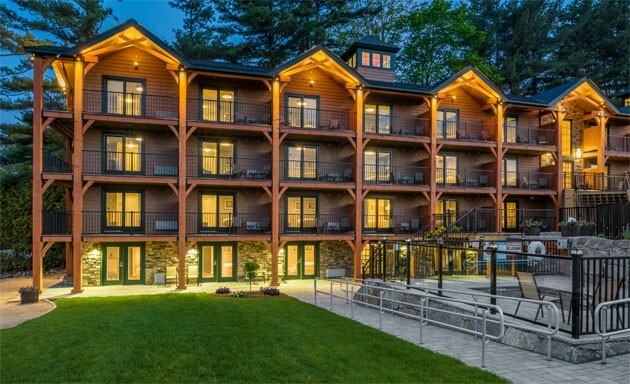 The improvements of amenities included a complete refurbishment of the nearly 200 feet of sandy beachfront along Lake Winnipesaukee and the construction of a four-season, outdoor hot tub overlooking the lake surrounded by heated walkways. The new walkways offer direct access to the building including an all new fitness center in the interior common space with an adjacent sauna facility. With the completion of this extensive renovation, the hotel now provides a high-end, lakeside hospitality experience allowing guests to enjoy wading into the big lake from the sandy beach or walking into town to experience all that Center Harbor has to offer. 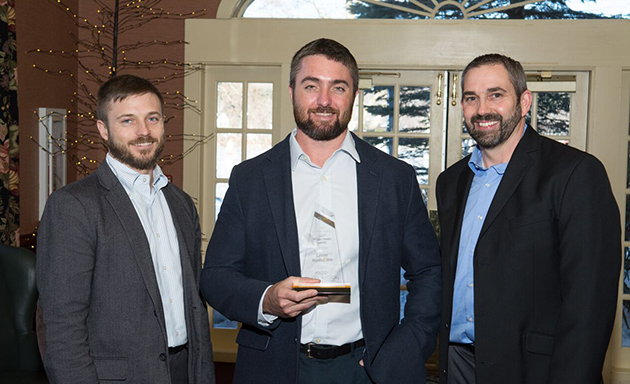 We want to thank the Lakes Region Chamber of Commerce for presenting us with this award, it is a true testament to all the hard work that went into this extensive renovation project. We also want to thank Conneston Construction, Stewart Associates Architects, Frances G Hodges Interiors, and Stephens Landscaping for making our vision a reality. Lastly, we want to thank the community and our guests for making the Center Harbor Inn such a resounding success.